Click on the tabs below for more information about each home plan. 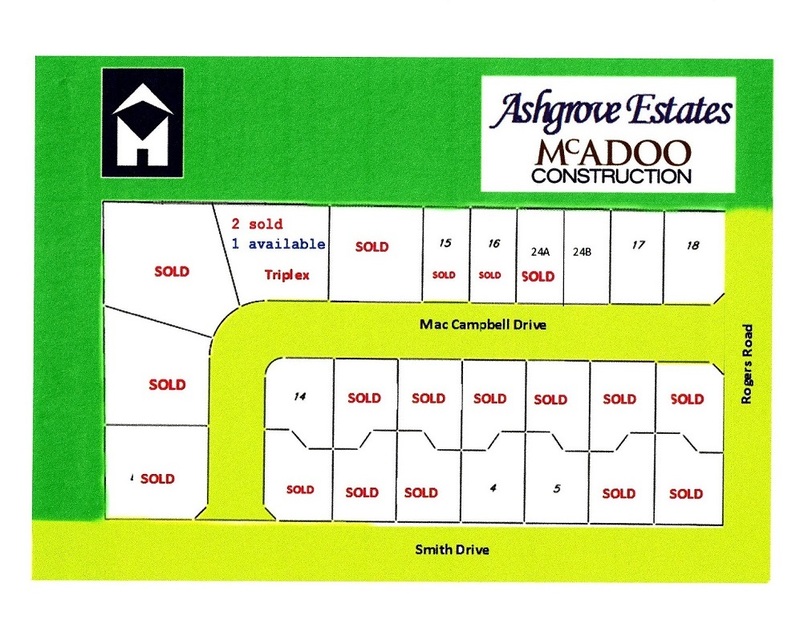 Layout of the subdivision showing which lots are sold. A prestigious three bedroom home with open concept kitchen, dining room and living room featuring 9 foot ceilings throughout with vaulted ceiling and gas fireplace in the living room. Main floor laundry room and large entryway. An impressive three bedroom home featuring a charming dining room and large vaulted great room with an elegant gas fireplace. 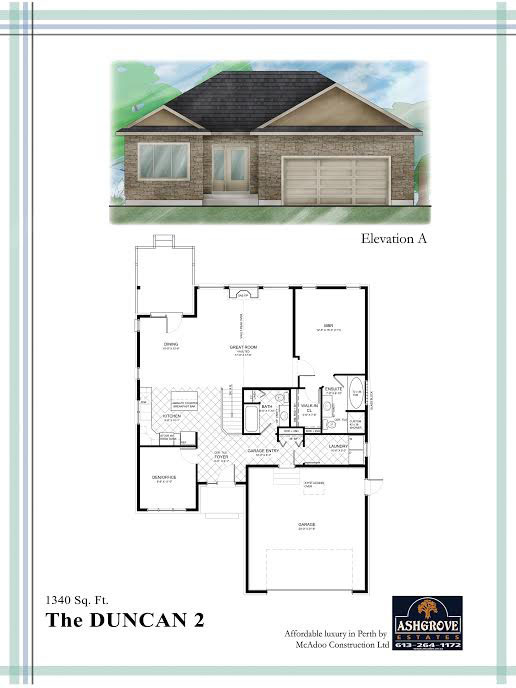 9 foot ceilings, deluxe ensuite bathroom, main floor laundry room and spacious entryway. A comfortable three bedroom home with 9 foot ceilings and vaulted great room with gas fireplace. 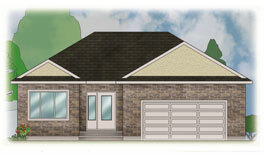 Special features include open concept kitchen and dining room, oversized single garage (20′ x 20′) and spacious entryway. A cozy two bedroom home featuring open concept great room, dining room and kitchen. Includes ensuite bathroom, main floor laundry room, large entryway and double car garage. An inviting one bedroom home highlighted by 9 foot ceilings throughout, an open concept kitchen, dining room, and great room with vaulted ceiling. Main floor laundry, ensuite, and oversized garage. A striking two bedroom home which includes large master bedroom with ensuite and walk in closet, vaulted great room with gas fireplace, 9 foot ceilings, and main floor laundry. Elegant open concept bungalow, generous kitchen opens onto dining and great room space with a welcoming fireplace and an optional vaulted ceiling. Master bedroom retreat includes a walk-in closet and a luxury ensuite with a soaker tub and a separate spacious shower. The main floor features a den/guest room, a second full bath, as well as a handy main floor laundry. 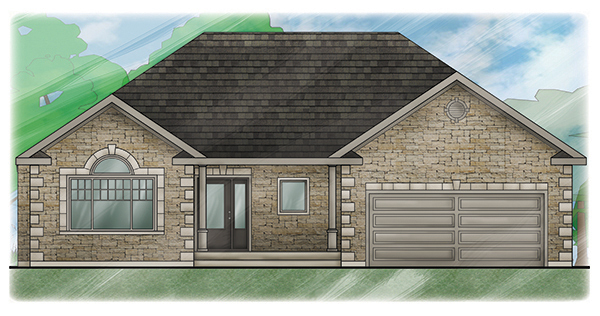 The optional basement finishing offers a family room and 1-2 bedrooms, all with large windows. This two bedroom two bath bungalow home offers an efficient and dynamic living space designed for an active family, featuring a cozy living room with optional fireplace, gracious kitchen with breakfast bar, and large mudroom with laundry. Compact three bedroom, two bath bungalow, combines a generous kitchen with breakfast counter overlooking a family sized dining space with covered porch access for three season barbeques! The main floor laundry and garage entry make day to day living a breeze. The large living room features a gas fireplace, for an charming gathering place. The centre unit has presold! The end units (‘A’ and ‘C’) provide 1182 sq. ft. of gracious living on the main floor, in two elegant configurations. Both units feature generous open concept living, with efficient kitchen area and optional island, main floor laundry, and a cozy sunroom with covered porch access. The master bedroom in Unit ‘A’ offers a shared/powder ensuite for ease of access, as well as lots of closet space. Unit ‘C’ master suite offers a separate ensuite and walk-in closet, as well as a 3 piece bath off the laundry room. Please note that GST/HST New Housing Rebates will be discussed in planning stages. • ENERGY STAR Homes (Energy-saving techniques: heating insulation and windows). • Solid brick, stone and/or stucco. • State-of-the-Art Building Methods and Materials. • Great Room with vaulted ceiling. • Custom stairs and railings. • Hardwood floors and ceramic tile. • Gas fireplace and custom surround. • Main floor laundry room. • HRV and Air Conditioning. All measurements are approximate. Plans, materials, and specifications are subject to change without notice. At McAdoo Construction we prefer to price each home for the individual customer based on their ideas and needs along with their choice of products and finishes. The prices posted on this site are based on past customer selections along with our ideas and finishes. The price for each model may vary based on each individual select. The model prices do not include any finishes on the lower level. Prices for the lower level to be determined. An HST rebate will be calculated at the time of closure. 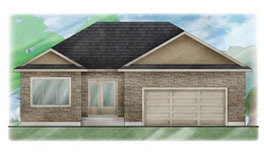 All models have air conditioning, HRV, paved laneway and sodded front yards. Contact us today to start your dream. To make an appointment to choose your plan and materials from our selection, please call 613-264-1172.